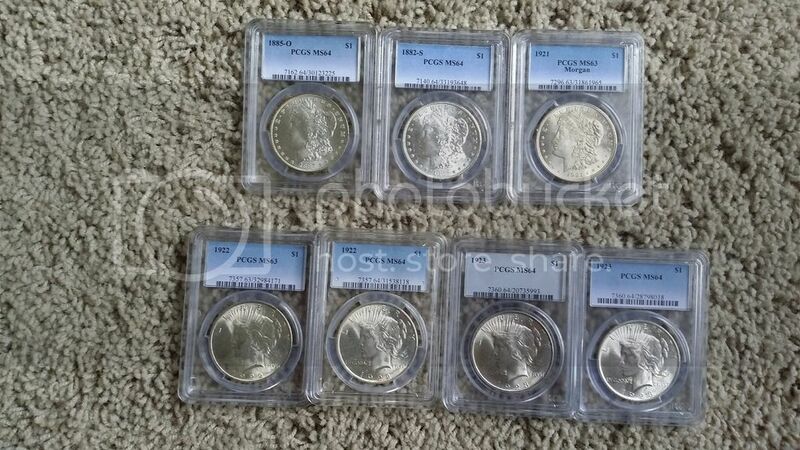 I have a few PCGS mint state Morgan and Peace dollars for sale. These nomally trade at or above the PCGS value stated in their app, which is $447.00. I'd like to sell these as a group at a nice discount. 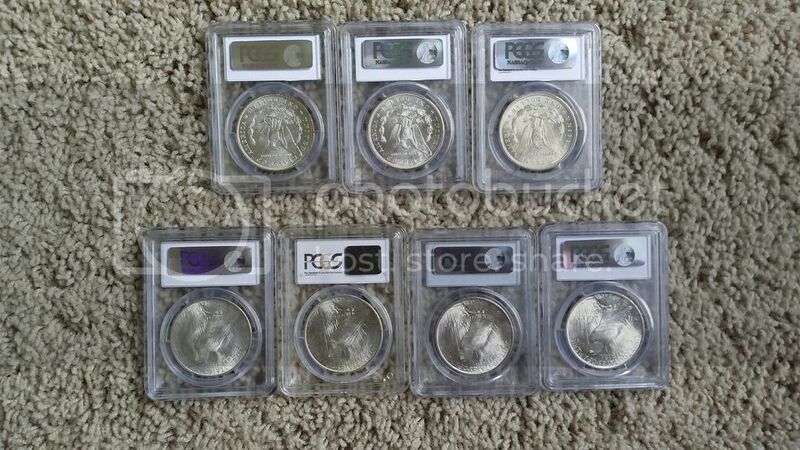 Buy them all for $350.00 shipped and I'll throw in a like new PCGS box which holds 20 slabs. Paypal +3% is preferred. Please PM if you have any questions. Thanks for looking! I'll take these. Email on the way.